So, DJ Khaled has some new music out and this track is actually a tune. 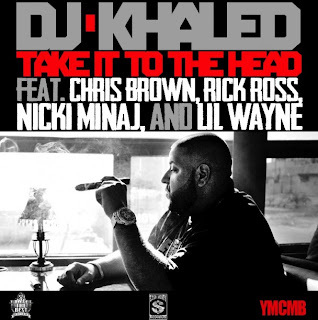 DJ Khaled has his way of putting artists together on a track to make it what it is, and how he wants it. We've seen him do this with "I'm On One" and others like "We Takin' Over" a mix and match kinda style. Also like that Chris Brown has blessed us with his vocals. I like. THEE Nicki that I fell in love with in 2007 is back, small small though lol. She also portrayed this in the track above, the rawness that we like. Not all these gimmicks and the sh-t she's doing *rolls eyes*. I'm enjoying this track very much, on repeat.